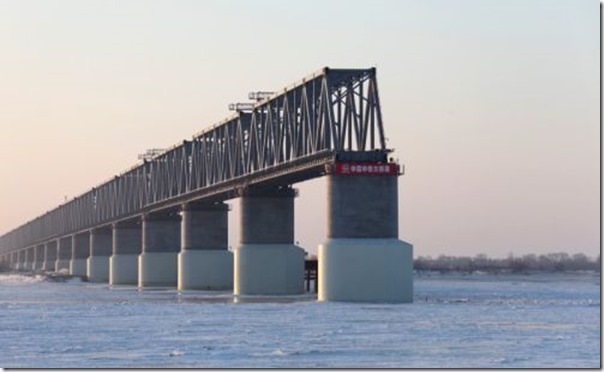 AIIB Transport Sector Strategy- Road to Nowhere? However, unlike the Energy Strategy, which was discussed in two rounds, public consultations are going to be held just in one shot. The public consultations period will last eight weeks, starting from May 10, 2018 to July 4, 2018. Written comments must be submitted by July 4, 2017 to ts.consultation@aiib.org. The draft Strategy says: "It is necessary to develop sustainable transport that is financially and economically viable, fiscally responsible, environmentally sustainable, and socially acceptable". 1. Penetration of trade and industrial activities in previously unaffected areas which creates demand for plundering of natural resources in places with poor safeguards in place to confront it. 2. Fragmentation of natural ecosystems resulting in decreasing viability of wilderness areas, species populations and ecosystem services. 5. Political conflicts due to expected shifts in power and influence due to new transportation routes. 8. Greenhouse gas emissions generated through full cycle of development, use and maintenance of transportation systems. Both the Strategy and the "Study" paper partially address only #8 from this list of factors that have to be assessed and framed within such planning document on transportation. This means that AIIB has practically zero environmental and social responsibility at strategic level of planning. – A bridge and road to a pulp mill planned in intact forest ecosystems across transboundary Amur-Heilong river from Heilongjiang to Zabaikalsky Province in Russia will result in fragmentation and devastation to last areas of old growth boreal ecosystems and subordinate the area to resource needs of China, which lacks pulp and timber due to forest bans. – list of examples of current problems can be continued on several pages. Neither this Strategy addressed key questions of broader sustainable development. The Strategy has very backward view of "changing demand conditions and technologies". It basically limits possible innovation to "upper-middle and high-income countries, where basic transport provision has been met, projects financed by AIIB will come with additional focuses on spreading green transport technologies and uplifting transport productivity." Does this directly imply that in low-income countries the AIIB does not plan to promote new green transport technologies? Little is said in the draft Strategy on what is being transported and how\why it is expected to change in next few decades. For example, coal makes huge % of past and current shipping (at least in Russia Coal is the King of railroads ), but may go down if cleaner energy systems prevail. In broader developments, countries like China are reshaping their export capabilities and instead of shipping around bulk products (like steel or cement) seek to export "overcapacity" to produce steel and cement closer to emerging markets. Finally, in many sectors it is expected that much of production of everyday goods may be localized and production facilities scaled down to produce items needed by local clientele (3-D printing being just one extreme example of the trend). Future is highly uncertain , but full of revolutionary promises already supported by obvious precedents, trends and commercialized technologies. Anyone who wants to participate in shaping this future takes responsibility to choose what trends and needs to support for better overall outcome. 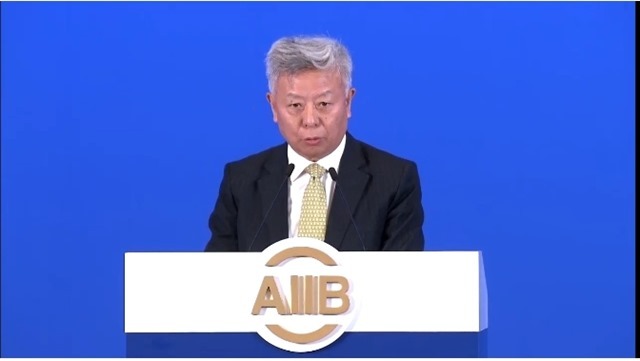 The clearly stated choice of the AIIB is to support destructive mode of business as usual and deliberately close its eyes on well-known social and environmental externalities. The Strategy supports infrastructure for the sake of infrastructure, thus not connecting it to well assessed societal good, but simply serving those who benefit from large infrastructure development: construction companies, traders, producers of machinery and construction materials, high officials benefitting from association with large projects, politicians using such projects to promote themselves. Three indicators suggested for monitoring\judging success of projects have little to with sustainable development: Passengers handled per annum \Tons of freight handled per annum\ Private capital mobilized. The Strategy and "Study" accompanying it do not address properly assessment of alternative options – absolutely key issue in planning of transportation routes. The strategy has completely inappropriate section on "promoting environmental and social sustainability", which " requires projects to minimize environmental and social impacts during project implementation and operation, in line with the requirements of AIIB’s Environmental and Social Framework and Policy ". Thus it deliberately skips most important stages of Project Identification and Project Design\Planning at which most decisions regarding choosing right alternatives and promoting sustainability could be practically made. Later only partial mitigation is feasible at higher costs. All it has to say about the key question of spatial planning is commonsensical phrase "Avoiding excessive traffic requires better land use planning" with a footnote hinting that the question is NOT going to be addressed within this strategy. At the same time the AIIB does not condition application for projects by presence of broader spatial development plans that passed strategic environmental assessments. From "Developing strategic partnership" section we learn that civil society, local communities or local self-governments are not among partners to be dealt with when identifying new projects, while commercial banks, institutional investors, and infrastructure funds are. Absence of local communities on the list of partners is not just an omission, but sign of continued contempt for local people and their legitimate concerns, which was openly proclaimed by the AIIB President at a workshop during the 1st Annual Meeting of the Bank in Beijing in 2016. Although deprived of any coherent section on environmental and social , the Study correctly calls for "Clearly defining a set of priorities for the transport infrastructure sector, and adopting a framework to allow effective project selection. The set of priorities should include modal and cross border connectivity, and environment sustainability… Some assessment of projects’ strategic value, how well they are integrated with national plans, how important they are in the overall network should be built into the project selection criteria." The drat Strategy completely avoids and downplays all those questions, thus showing the AIIB disregards its own "study" let alone all preceding experience of humankind with assessing and improving sustainability of infrastructure. Given obvious absence of conceptual framework on sustainable development, productive ideas and green daring, the AIIB could opt to focus in the beginning on safer field of Upgrading of existing infrastructure. However, this is listed as the last choice out of 4 and instead " co-financing of "trunk and strategic infrastructure " (whatever those buzzwords mean) is declared as near term focus without any clear justification for the choice. 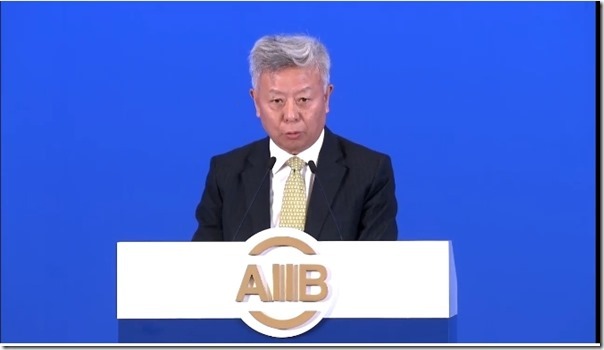 In general the AIIB seeks to fund "Projects with significant economic return but without sufficient financial return that would attract stand-alone private finance" as other MDBs routinely do. Another interesting feature is the proposed use of the AIIB Special Fund to support the preparation of cross-border projects, including those in middle-income countries(earlier we thought that fund is for the poorest countries). My reading that by "middle-income countries" the AIIB means first of all China, whose Belt and Road Initiative is serviced by the Bank’s operations. Creation of corridors linking China with its neighbors – likely priority imbedded into this strategy. The document confesses: "While the energy sector presents a larger infrastructure demand need in Asia, the transport infrastructure sector arguably presents the bigger challenge." As we all remember the AIIB has already largely failed on setting innovative, sustainable and integrated Energy Sector Strategy in 2017. Now we see that AIIB failed to develop draft of its Transportation Strategy, which would worth public consultations. Document lacks essential rigor , key questions, and any criteria and indicators allowing to asses and monitor sustainability of projects. All it does – creates a channel to spend money on conducting business of usual. In a sense this draft strategy is a large step backward from its energy twin, which, however crooked, was at least setting some meaningful objectives related to sustainable development. although it failed to develop a path to achieve them.